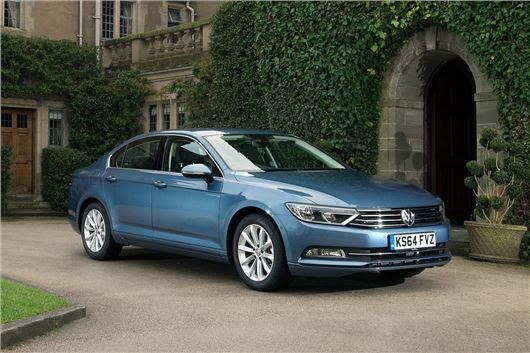 The 2015 Volkswagen Passat saloon and estate are now available on Motability finance at Advance Payments from £999 on top of the Higher Rate Mobility Living Allowance. The eighth-generation Passat is up to 85kg lighter with fuel economy improved by up to 14 per cent. Its quality of trim leads VW to assert that it bridges the gap between the upper medium and premium classes of cars. Four diesel engines are offered, ranging in power output from 120 to 240 PS. Both the 1.6-litre 120 PS TDI and 2.0-litre 150 PS TDI with manual and DSG automatic gearboxes are available on Motability in S, SE and SE Business trims, and in saloon and Estate bodystyles. All Passats offer features including Post-Collision Braking System and mis-fuelling prevention. The the SE adds Front Assist, Adaptive Cruise Control, Pre-Crash system, Driver Profile Selection, Ergo Comfort seats and front and rear parking sensors; while the SE Business also has Discover Navigation. Volkswagen offers Motability customers a wide range of cars, from the Up city car, through the Polo, Golf, Golf SV, Tiguan, Jetta, Scirocco, CC and Beetle to the Touran and Sharan people carriers. Currently a number of Up and Polo models are also available on Motability at zero Advance Payment. Motability Operations manages the worry-free Motability Scheme for over 600,000 disabled people and their families. Anyone who receives the Higher Rate Mobility Component of the Disability Living Allowance or the War Pensioners’ Mobility Supplement can exchange this monthly payment to lease a brand new car, scooter or powered wheelchair through the Motability Scheme. For more information on Motability call 0800 093 1000 or visit www.motability.co.uk. For more information on the new Passat or any other Volkswagen, please call 0800 333 666, or download the brochure from the Volkswagen website at www.volkswagen.co.uk/buying-guide/motability-offers.